Light garnet color. 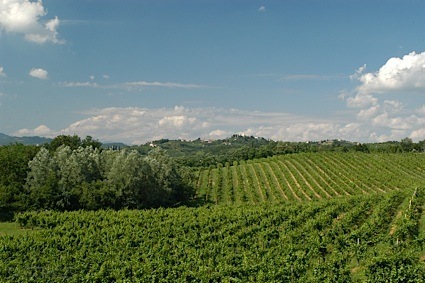 Aromas of old fashioned coffee and dried cherries with a satiny, vibrant, dryish light body and a graceful, interesting, medium-long grilled mushrooms, red pear, and cranberry mostarda finish. A highly pairable, mouthwatering pinot noir that won’t let you down. Bottom Line: A highly pairable, mouthwatering pinot noir that won't let you down. 93 • McIlroy 2014 Aquarius Ranch Vineyard, Chardonnay, Russian River Valley 14.5% (USA) $32.00. 89 • McIlroy 2015 Chardonnay, Russian River Valley 14.4% (USA) $22.00. 93 • McIlroy 2015 Aquarius Ranch Vineyard, Chardonnay, Russian River Valley 14.5% (USA) $32.00. 88 • McIlroy 2016 Aquarius Ranch Vineyard, Chardonnay, Russian River Valley 14.5% (USA) $34.00. 88 • McIlroy 2016 Chardonnay, Russian River Valley 14.5% (USA) $24.00. 89 • McIlroy 2015 Lila Lane Vineyard, Pinot Noir, Sonoma Coast 13.9% (USA) $34.00. 92 • McIlroy 2016 Bembey Vineyard, Pinot Noir, Russian River Valley 13.9% (USA) $34.00. 89 • McIlroy 2017 Bembey Vineyard, Pinot Noir, Russian River Valley 14.2% (USA) $40.00. 90 • McIlroy 2017 Chock Rock Vineyard, Pinot Noir, Monterey County 13.7% (USA) $40.00. 92 • McIlroy 2017 Clone 828, Pinot Noir, Carneros 13.9% (USA) $40.00. 90 • McIlroy 2017 Aquarius Ranch Vineyard, Chardonnay, Russian River Valley 14.4% (USA) $36.00. 89 • McIlroy 2017 Chardonnay, Russian River Valley 14.5% (USA) $24.00. 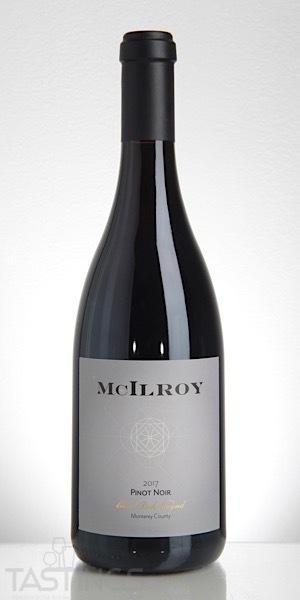 McIlroy 2017 Chock Rock Vineyard, Pinot Noir, Monterey County rating was calculated by tastings.com to be 90 points out of 100 on 12/17/2018. Please note that MSRP may have changed since the date of our review.